What is that little voice in your head telling you? Self-talk can be positive, but all too often it’s negative and not at all helpful. 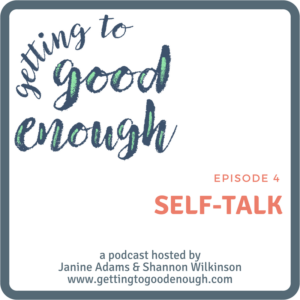 Shannon and Janine discuss turning the negative self-talk around so that it’s actually helpful. Link: The Amazing Cosmic Awareness of Duffy Moon is available to watch on YouTube. Enjoy!